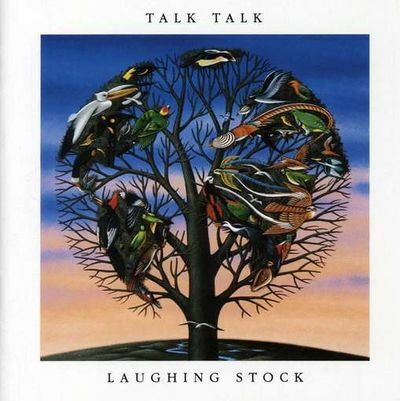 Talk Talk were an English synth-pop band who, at some point along the way, went collectively insane. 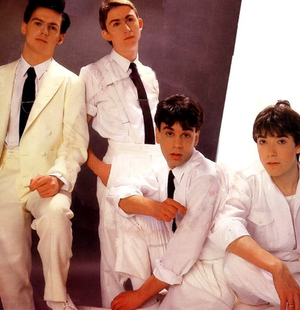 Though their earlier releases, such as "Don't You Want Me Baby" and "Rio," were the most commercially popular, lodging them in the eternal pantheon of cheesy-sounding '80s nostalgia juggernauts, they are remembered most for their drug addled, mumbled, spacey and airy, weary and teary post-insanity releases, Laughing Stock and Spirit of Eden. They are sometimes blamed for allowing post-rock to exist, but this is actually Slint's fault. One late November evening, Friese-Greene got a phone call. It was Hollis. "Come to the studio. Now." Before F-G could even respond, Hollis hung up, waited a second, then frantically called again. "And bring lots of candles." Friese-Greene, sensing the sweat and turmoil through the phone, went instantly to the nearest Home Depot. An hour and a half later, he nudged open the studio door with his foot, each hand gripping seven plastic bags loaded with wholesale packages of scented candles, pulling a handcart loaded with a twenty gallon drum of incense with his teeth. Though the sight he beheld loosed his jaw and nearly sent the incense careening to the floor, he would get used to it for the next few years, during the ensuing Steven of Eden sessions. For those without comedic tastes, the so-called experts at Wikipedia think they have an article very remotely related to Talk Talk.